The gang is back in Red 2, and while the second adventure with Frank Moses (Bruce Willis) and company is a little more predictable than the first, it’s ultimately still watchable and filled with enough sass for returning fans. Those who never got into the first movie certainly do not need to pick up this one, however. The film starts in a Costco, which is not exactly a place one might guess a spy film would begin. Apparently, Moses has settled into a humdrum routine with his girlfriend, Sarah (Mary-Louise Parker). However, when a random chain of events targets Moses and Marvin (John Malkovich), a mystery needs to be solved before some hitmen gun them down. Filled with off-beat humor, lots of shifting pieces a who’s who of older actors, the film is more fun than it is ground-breaking, but let’s be honest, not everything needs to be Silence Of The Lambs. Sometimes it’s fun to grab some popcorn, sit back and enjoy a fast-paced adventure with just the right number of gags. This film offers all of that in spades and is an enjoyable way to spend some time. There were rumors soaring about a third entry in the series before Red 2 even hit theaters. This movie, while enjoyable, doesn’t really make a great case for its existence. There aren’t quite enough laughs or big action scenes or moments of genuine interest here to make a viewer want more, and given the collective acting talent, there are certainly better things everyone involved could be doing with their time. Best Special Feature: I guess I would have to go with The Red 2 Experience. It has no discernable direction whatsoever other than to let the actors talk about random things involving their characters and the film. It sort of plays like one of those features that runs at the theater prior to the trailers, but that doesn’t mean it’s not enjoyable. jOBS begins with the iPod, the so small but so important device that changed the future for Apple and immortalized the name Steve Jobs. While the film begins on a high note, it quickly grows into a lengthy biopic spanning an extended period of time, jumping back to 1974 and the roots of Apple Computers. 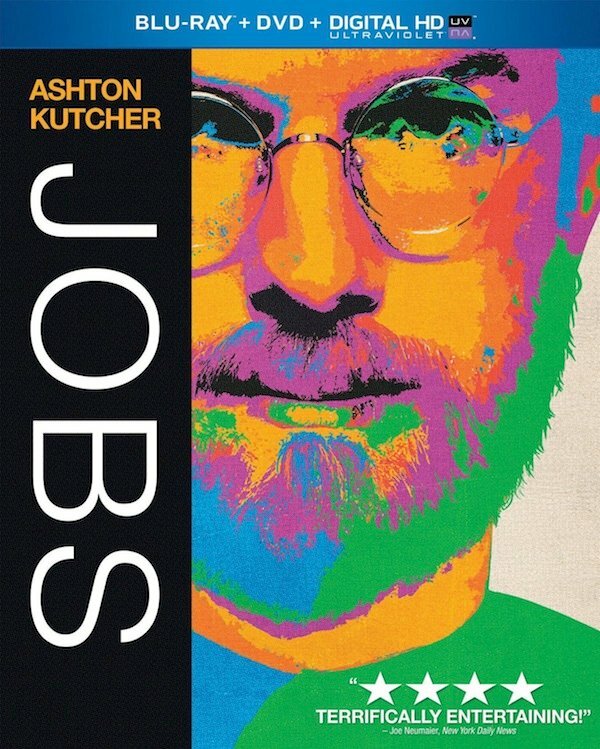 Jobs (Ashton Kutcher) starts as an intelligent drifter, but after he hooks up with Steve Wozniak (Josh Gad), his entrepreneurial spirit is honed and the company is born in the back of a garage. We spend a lot of time with Jobs over the years, as the home computer turns into a reality, as Apple Computers, Inc. eventually goes public, as Jobs drops some old friends and lets new people into his—and the company’s—life. What results is a long and twisted narrative that focuses on Jobs through too many points in time leading back into the period in the nineties when the prolific technology expert returns to Apple to turn things around financially for the company. There’s even a nice moment when Jobs gets frustrated with the function and capabilities of the then-popular Walkman device, foreshadowing the invention of the iPod. Thankfully, the movie does cut off before we get there. Despite the time jumps and the lengthy narrative, jOBS is still an interesting watch, if you are into an idealistic take on an overbearing visionary. While the movie doesn’t shy away from Jobs’ refusal to cite himself as the father of the first child and the poor treatment he gave the guys who helped build the company in the garage, it’s also propelled by an upbeat rock soundtrack and spends a lot of time helping viewers to understand that Jobs’ vision was legendary. The Apple founder is constantly working on grandiose ideas and at the brink of some possibility or another, giving his employees famous speeches about ‘thinking differently.’ The film reportedly features some missteps in the way the characters are portrayed, however, whatever missteps it has, performances from Gad and Kutcher, as well as J.K. Simmons, Matthew Modine, and Dermot Mulroney help to balance out the harder-to-slog-through material. Best Special Feature: The best extras is the segment looking into the way the score was put together. I’ve heard some complaints that the score is overbearing, but I found it to work within the scope of director Joshua Michael Stern’s vision, and it’s certainly one of the more interesting extras on the disc, although if you want to hear people gush over Kutcher’s portrayal, that one’s alright, as well. "Ashton Kutcher is Steve Jobs"
"The Legacy of Steve Jobs"
The Los Angeles portrayed in The Canyons is not a very grounded place. It offers a world built on unstable and selfish personalities that seems all the more sinister in the sunny and bright setting that is Southern California. The Canyons isn’t an easy film to get through, but the viewing experience isn’t wholly negative. The Canyons was given all of the hype that a film featuring the recently rehabbed Lindsay Lohan deserved, and she’s about the most interesting thing in the movie. Most of the film revolves around Lohan’s character, Tara, and the devolving relationship she has with her wealthy partner, Christian (James Deen). Like other works written by Bret Easton Ellis, Tara and Christian are bored individuals who lack empathy and who treat those closest to them like pawns. In this case, those closest are young people in Hollywood like Christian’s gung-ho assistant Gina (Amanda Brooks), struggling actor Ryan (Nolan Gerard Funk), and a yoga instructor named Cynthia (Tenille Houston). The film was put together and shot on a cheap budget, and director Paul Schrader’s vision won’t bowl anyone over with its astuteness. Still, The Canyons has a coloring and a synth-oriented soundtrack that makes it stand out, and its story, while harrowing and simultaneously a little goofy, does feature Lohan proving she can act. This may not be the movie that turns things around for LiLo, but it may be the movie that reminds you of why she was an "it girl" in the first place. You can order The Canyons over at Amazon. Best Special Feature: There are a surprising number of extras on the disc, but none of them are particularly interesting. In fact, most of the extras are short and feature a bunch of wordless picture sequences from the shooting of the film rather than an actual extra featuring interviews with the cast and crew. The one exception is the "Creating The Canyons" featurette, which features interviews with some of the behind-the-scenes people like Brett Easton Ellis and Paul Schrader who explain how the film came together. If you want to really get invested in the story of The Canyons, however, I believe you should probably just check out this artful New York Times article. We couldn’t get our hands on the awesome complete series set for Breaking Bad, but we do know it will come in a barrel and will come with a bunch of extras and other bells and whistles. If you are excited about that collectible complete series set, you can check out more about it, here. We did get our hands on Breaking Bad: The Final Season set, however. The Blu-ray combo pack only comes with the final eight episodes of Season 5.5 that aired on AMC into this fall. Which means if you still haven’t caught the first eight episodes of Season 5, you will have to purchase those separately. Still, the set is not one to laugh at. As the Blu-ray box gleefully notes, it comes with nine hours of bonus features and it also comes with the Mythbusters Breaking Bad Special, which follows the guys testing the probability of certain crime-oriented ideas that came up during the hit series. There’s no doubt Breaking Bad’s final round of episodes were both carefully devised and well-executed. As a result, there is a very good chance the last season will be remembered as one of the greatest conclusions to a series ever. If you’re a fan of the show or television in general, you going to want to own the final chunk of episodes, both for the originally shown content and the bonus features the smaller partial season only release contains. Regardless of what you might be into, there’s something on the discs for all types of fans including specials on the show runner, well-edited compilations of footage, deleted and extended scenes and a whole lot more. 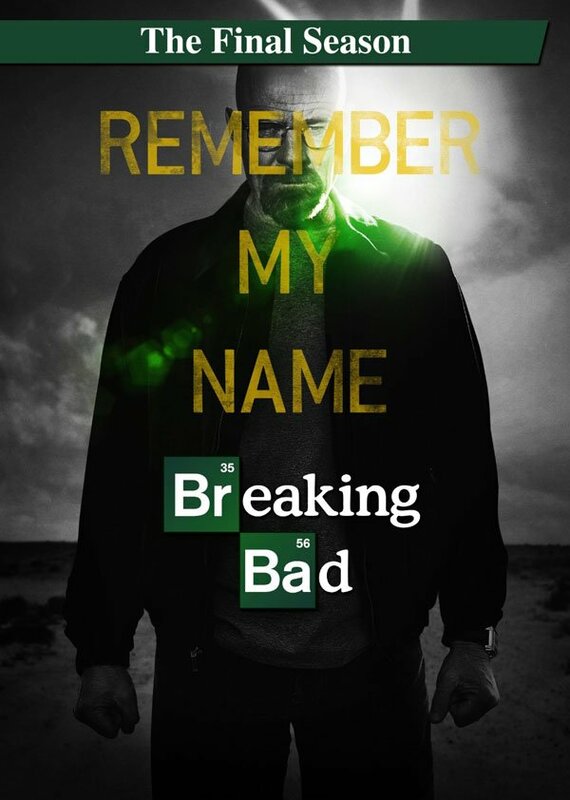 Besides, I'm pretty sure most of us would watch anything that emerged from the Breaking Bad set at this point given we're out of luck on new footage that doesn't involve the spin-off. You can order Breaking Bad: The Final Season over at Amazon.